Has a coach ever implored you to concentrate? Have you ever been told that you would be a better player if only you learned to improve your concentration? Have you ever been told exactly what concentration is or how to improve it? 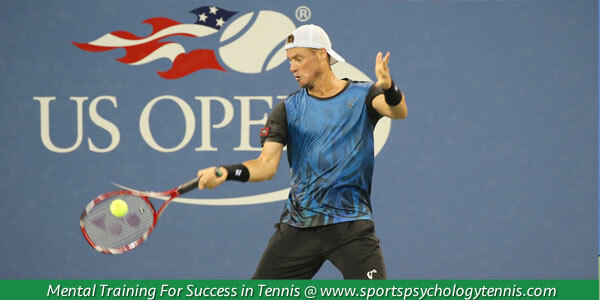 Most tennis players think concentration is some innate ability that we possess. Concentration is a skill and with all skills, some have a capacity to develop it more quickly, but everyone can improve upon their concentration skill level. Concentration is the ability to focus attention on the task at hand and not be sidetracked by internal (thoughts, feelings, past memories) or external (crowd, opponents, weather, equipment, officials) distractions. At the 2013 China Open in Beijing, , the top seed and defending champion had a slight hiccup in his second-round match against Fernando Verdasco. Djokovic took the first set of the match with relative ease, but seemed distracted and lost the second set 2-6. Djokovic admitted to being sidetracked. Djokovic regained his focus winning the third set and defeating Verdasco, 7-5, 2-6, 6-2. 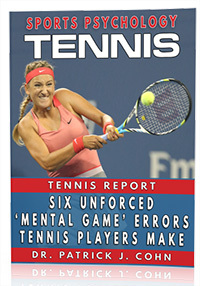 Djokovic attributed his success to his ability to regain his concentration and focus on the present match, not his ranking. Peak performance occurs when athletes are able to purposely concentrate on the very things needed for successful performances that are within their ability to execute and act on them accordingly. Preservice Routines – (ex. Prior to serving, wipe hand, bounce ball 3 times, take a deep breath, etc.). Routines help you focus on the process by giving you something familiar to focus on, a task that you have total control over. Performance Cues – (ex. “relax” or “trust the swing”.) These cues are reminders, repeated to yourself to center your attention on the task at hand. Cues can be emotional, mental, physical or technical reminders that should help you focus on the upcoming point and get you ready to react. Use no more than 1-2 performance cues per area of the game. Practice Re-Focusing – The place to develop your concentration skill is in practice. Recognize what causes you to become distracted. Refocus back on your performance cues to re-gain your focus. The more your work on concentration in practice, the greater your ability to stay focused in competitions. Remember, your performance is your responsibility! 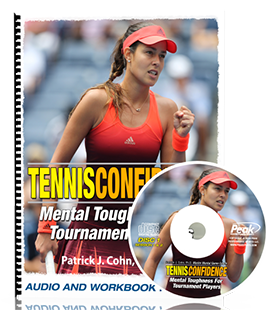 Sign Up For A Free Tennis Mental Toughness Report!